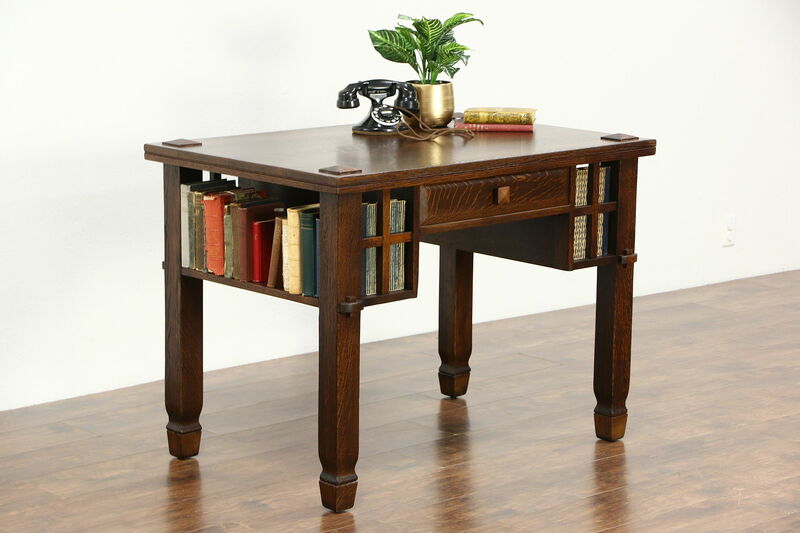 Dating from about 1905, an Arts and Crafts or Mission Oak period writing desk or library table has bookshelf ends. The restored finish is in excellent condition on solid quarter sawn oak. Mortised joints are authentic on this American made antique Craftsman furniture. The drawer has dovetailed joints, there is a faux drawer opposite. Size is 42" wide, 28" deep, 31" tall and legroom is 24 1/2."